We at the Unitarian Universalist Fellowship of Madison County yearn to make a difference in the world by living out our covenant of shared principles. Within our liberal denomination, we as individuals within a community, responsibly search for religious truths . It is here you can explore questions about religious beliefs and values in a safe and supportive community that celebrates unity with diversity. We welcome all without regard to race, culture, religious belief, or sexual orientation. Anyone may join our Fellowship by signing the membership book either privately or publicly during a service. Members are asked to pledge their support financially and/or through service to the Fellowship. For upcoming Services, Meetings, and Events click HERE to view our calendar. Sunday services for adults and religious education for children begin at 10:45. 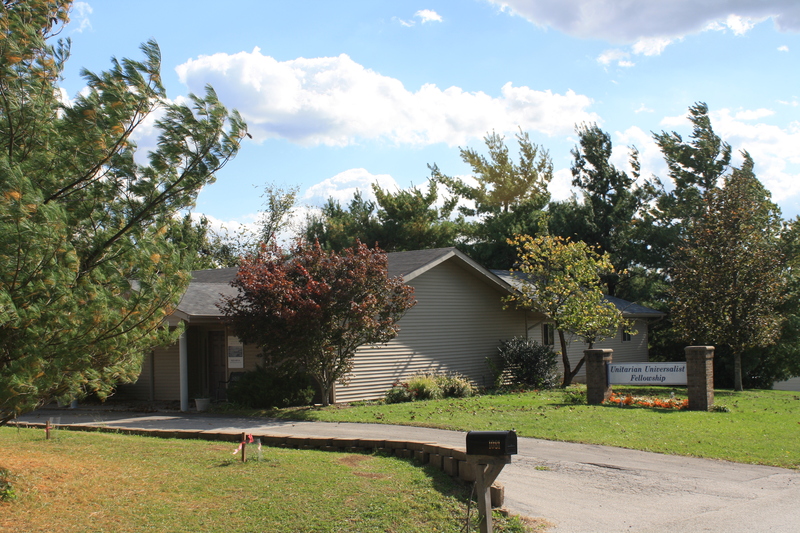 We are located at 1081 Willis Branch Rd, Richmond, KY 40475. Just under 3 minutes from I-75. This is off Barnes Mill Road just past Meijer Food store. Turn Left onto Willis Branch Road after Silver Cliff Landscaping.